I’m sure you or someone you know has been in a situation where you’ve dated someone for so long, that your friends become each others friends and you become close with the family. Then you break-up, and it’s that awkward moment where your loved ones wonder if they should cut off the friendship too. When it comes to friends, I think that’s easier. Your friends will always have loyalty to you. BUT, what about the family members? Whether your relationship was 2 years or 7, what becomes of your relationship with your ex’s family? If you were a non-married couple with no children, when you break up with someone, should you also break it off with the family? Besides genuinely liking me for being absolutely AWEsome, my ex’s mom also really liked me for her son and I learned somewhat compared me to other women he dated after me. As flattering as that can seem, I had to stop and think how fair that would be to my ex? If my significant other’s mom kept in close contact with my boyfriend’s ex, I would personally find it intimidating. The doors wouldn’t really seem open for me to come in and I would always feel like i was competing with the past. Now, I know what some of you may be thinking. You don’t care if your ex stays in touch with your family, and you don’t think there’s anything wrong if you do. You were together so long, or the tie was so strong, they will always be a part of you. I’m not here to disagree. Not all break-ups are capable of making you curse someone out if you saw them walking down the street 2 years from now. I just have to wonder how fair it is to your current significant other. No matter what you say, if it was me and my boyfriend was still close with his ex’s family, I would think he wasn’t over her at most. At the very least it would make me uncomfortable. Right or not, could you blame me? My two cents: Leave the relationship with what you came with. The confusions and possible implications for your future relationships are just.not.worth.it. Tags: break-ups, breaking up, Dating, dating advice, Family, let go, Mother, Relationships, single. Bookmark the permalink. Previous post ← Dating by Diets: The New Dating Phenomenon? You know, you bring up a good point about something that isn’t talked a lot about. What happens to the other person’s family? I mean, those are connections too, right? Why divorce/break-up with them? I love what you said about your current significant other. What about their feelings? I know it would be really awkward if my wife was still friends with her ex’s parents and vica versa. 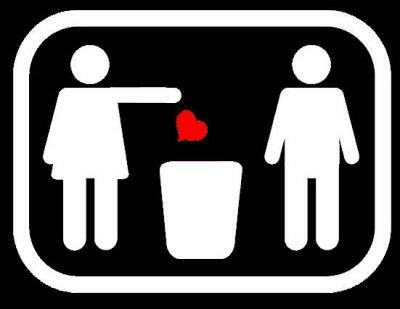 To play Devil’s Advocate, I would argue that the other side of the argument would say, “Don’t devalue relationships. They are people too. You broke up with the person not the people. Don’t let them suffer the break up as well.” In some cases, I can see the point here, but it is a little hard at times to justify maintaining those relationships if you are in another relationship. What do you think, though – is there ever a circumstance that a person ought to keep in touch with the family of their ex or should it always be a total separation? What a good point. Well i guess I would say that, if you were a couple who has been together for something like 20 years, married or not (I know a few), then I could see how their family is part of your family and I don’t think dissolving a relationship is as easy as 1-2-3. I do however think, after a while, what else would you have in common (considering you don’t have any children) with your ex’s family? At some point they’ll be dating again, and honestly if you’ve been together that long maybe everyone would be happy for each other, but unless you’ve become best friends with his family members, I feel like it would just naturally dissolve on its own. And I’m not saying people don’t lightly “keep in touch”, but I think that’s different then continuing a full-blown close friendship with someone I just always think, what about the the other person.